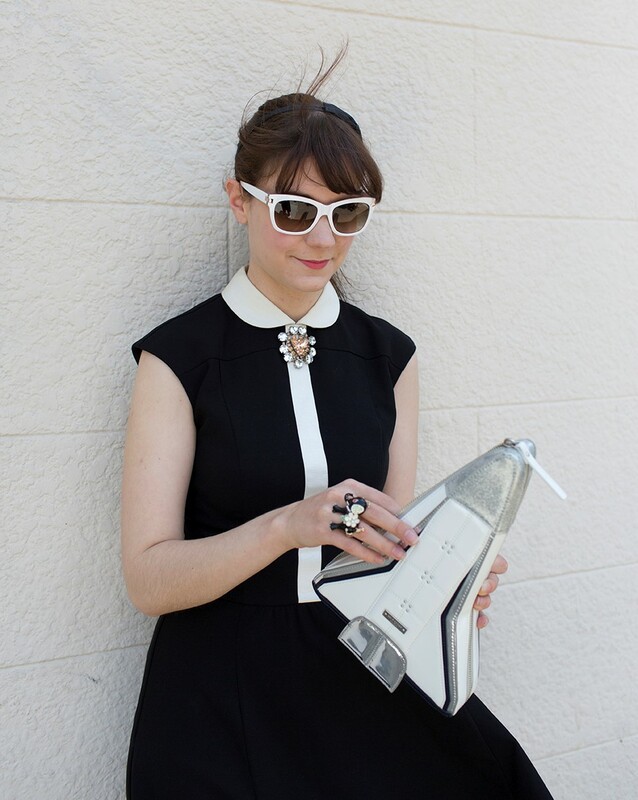 With a background in design, working at NASA set Ariel Waldman on a mission to empower others to contribute to space exploration. Ariel founded Spacehack.org, a directory of ways for anyone to participate in space exploration and is the “global instigator” of Science Hack Day, an event that brings people together to prototype with science in 24 hours. 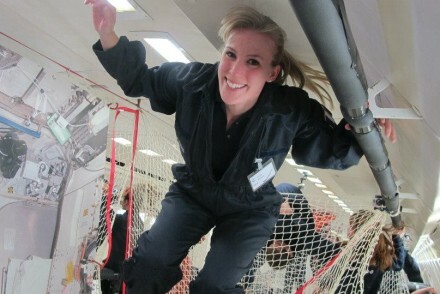 Recently, Ariel authored the fantastic book “What’s It Like in Space? : Stories from Astronauts Who’ve Been There ” and is the co-author of a congressionally-requested National Academy of Sciences report on the future of human spaceflight. Ariel describes her journey in the space industry to Rocket Women. RW: Tell me about your journey to the space industry and to where you are today? AW: My journey has been an unexpected one. I don’t have any childhood stories of wanting to be an astronaut or a scientist. I don’t blame that on my schooling (I was an A student who always found math to be a breeze while my schoolmates struggled), I just personally wasn’t very interested. As a young teenager I found myself entranced by art and design and pure creation. I suppose I actually found it to be more challenging. My art classes were certainly more intimidating to me than any math class I ever attended. So, I went to art school and got my degree in graphic design. I had a job I loved that I can only describe as being like what I imagine it’s like to work at Pixar. But I hit a glass ceiling and ultimately left, not knowing exactly what I was going to do next. In the spirit of continuing to want to be around creators, I moved from Kansas to San Francisco to be alongside the freshly reemerging tech scene. A few months later I was at home watching a documentary on the Discovery Channel called When We Left Earth. It was about NASA during the early days, when they were trying to figure out how to send humans into space. The documentary interviewed a number of the guys who worked in mission control in the 1960s. They spoke of how when they joined NASA that they didn’t know anything about rocketry or spacecrafts or orbits! They had to figure this stuff out as they went along. That sparked something in me. The idea that you could work at NASA without knowing anything about rocket science. 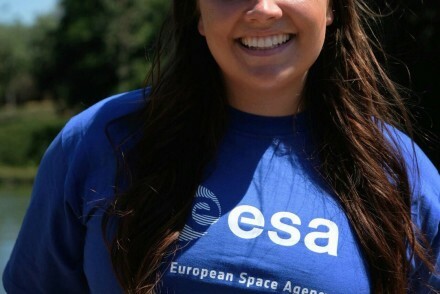 I said to myself that I knew nothing about space exploration but I’d love to work at NASA. I then told this to a friend who had just met someone who worked at NASA at a conference and he agreed to give me their email address. So, I sent this person at NASA that I had never met an email about how I was a fan of NASA and offered myself as a volunteer if they ever needed someone like me. It was a piece of fan-mail that I didn’t expect would get a response. Serendipitously, the day I emailed the person at NASA was the day they had just created a job description that they sent back to me. They specifically wanted to hire someone who had no experience with NASA who could help bridge the gap between communities inside and outside of NASA to collaborate. They also wanted someone with design and agency experience who knew how to effectively communicate/translate concepts between different communities, as well as someone who was connected to the tech startup scene. I applied and ended up getting the job! It’s fair to say I was over the moon. Getting a job at NASA awoke something powerful within me. Over time it made me realize what unique contributions I could make to furthering space exploration. Never had I expected that someone like me could work at NASA. Even though I hadn’t considered myself a space geek, if at any point in time someone had asked if I, as is, would like to work at NASA, I would’ve said hell yes. And I think most other people would, too. Getting a job at NASA awoke something powerful within me. Over time it made me realize what unique contributions I could make to furthering space exploration. My lifelong mission now is to give others this same empowering experience and realization – that they, too, as they exist right now can actively contribute to space exploration, and often in clever new ways. That’s what spurred me to create Spacehack.org, a directory of ways for anyone to participate in space exploration, and later to be the “global instigator” of Science Hack Day, an event that brings all different types of people together to see what they can prototype with science in 24 consecutive hours. My projects are all about infusing more serendipity and ingenuity into science through what I call “massively multiplayer science”. My lifelong mission now is to give others this same empowering experience and realization – that they, too, as they exist right now can actively contribute to space exploration, and often in clever new ways. Since my unexpected beginnings, I’ve had the honor of serving on the National Academy of Sciences Committee on Human Spaceflight, which reported on how to build a sustainable human spaceflight program out to the 2050’s. I currently sit on the external council for NASA Innovative Advanced Concepts (NIAC), a NASA program that nurtures radical, science-fiction-inspired ideas that could transform future space missions. I’ve had fun appearances on Syfy and the Science Channel. Last year I published my first book. I’m independent, so I also continue to do consulting work and create fun side projects like Spaceprob.es and my YouTube channel. I wanted the book to be fun through sharing many of the awkward and amusing stories astronauts might only tell you over a beer. RW: Congratulations on your new book, ‘What’s It Like in Space?’. How were you inspired to write the book? AW: Thank you! It was so much fun to make. Throughout my time on the NRC Human Spaceflight Committee, I got to meet a number of astronauts who had so many great and hilarious stories to tell in their downtime. I’d often retell their stories at parties and I eventually decided that it’d be great to collect them all in a book as bite-sized vignettes about what it is like to be in space. I wanted the book to be fun through sharing many of the awkward and amusing stories astronauts might only tell you over a beer. AW: I’d be hard-pressed to say I’ve had any expectations since beginning a career in space exploration! Landing humans on the surface of Mars is something I see people consistently underestimate just how challenging it is. It will require international collaboration on an unprecedented level. RW: In your opinion, what are the main challenges that human spaceflight faces in the near future? AW: There are a number of challenges in the near future for human spaceflight that are both intimidating and exciting. Landing humans on the surface of Mars is something I see people consistently underestimate just how challenging it is. It will require international collaboration on an unprecedented level. It’ll also cost hundreds of billions of dollars over decades, which requires strong political will. Much of the technology needed to land humans on Mars, while it’s foreseeable, doesn’t even exist yet. It’s estimated that NASA’s budget needs to be increased to be 2-5% above inflation for several years in order to reasonably land humans on Mars. With NASA’s current trajectory of flat budgets, it will be unable to conduct any human space exploration programs beyond cislunar space. Landing humans on Mars, no matter who does it (and the most likely scenario is that it’ll be an international collaboration of countries and companies working together), requires a number of facets across politics, money and technology to work in harmony at the same time. Because landing humans on Mars is so difficult, it will require a large portion of humanity to contribute to it in order to make it happen. If we do land humans on Mars in our lifetime, it will only be because people around the world worked together. It is far from guaranteed to happen in your lifetime. While one could look pessimistically at this monumental challenge of getting all of these factors to come together at the same time, I think there is something to genuinely be excited about. Because landing humans on Mars is so difficult, it will require a large portion of humanity to contribute to it in order to make it happen. If we do land humans on Mars in our lifetime, it will only be because people around the world worked together. In this way, compared to the Moon landing, a Mars landing will an achievement owned by humanity more so than any one nation or organization. Women across the board in both commercial industry and government continue to face work environments that retaliate against them when they report harassment. Women continue to be discriminated against more across a myriad of ways as they move up in the workforce. 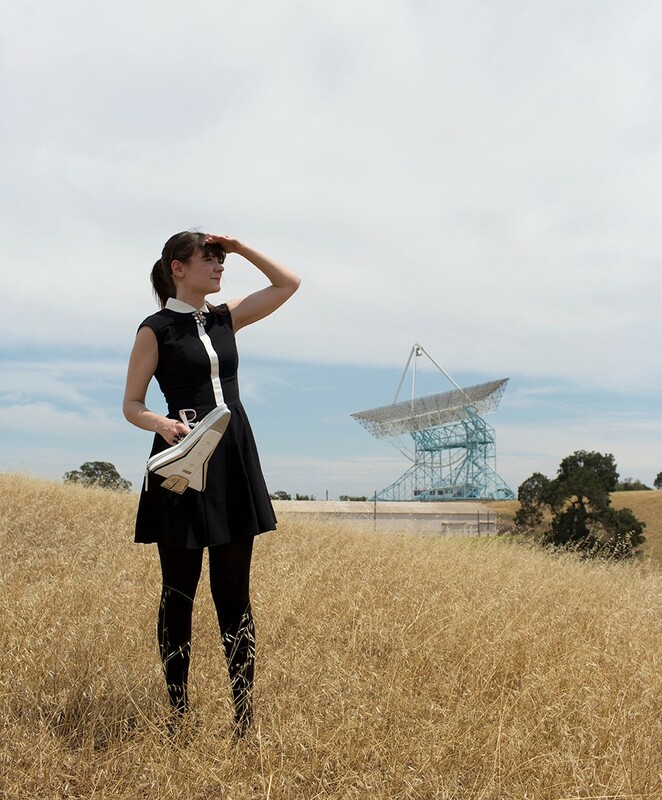 RW: How do you think the space industry & STEM has changed for women over the years? Has it become more inclusive? AW: I have personally been extremely disappointed with much of the commercial space industry which actually has worse racial and gender diversity percentages than NASA does, and I don’t see much signaling to say that will change anytime soon. It’s sad that the commercial sector is doing worse given that NASA can not as easily recruit or refresh their workforce as commercial companies can. Women across the board in both commercial industry and government continue to face work environments that retaliate against them when they report harassment. I certainly will keep fighting to make space exploration more accessible and inclusive from any corner I can get a toe-hold in, and speak up about the injustices and disappointments I see. I do hope it gets better. Women continue to be discriminated against more across a myriad of ways as they move up in the workforce. Unfortunately, it often doesn’t get better and many times it gets worse. You’re often gaslighted every step of the way by colleagues and made to feel isolated in these situations. The only solace I find is that I continue to meet and hear about more women who have been through these situations and that helps verify that you’re not alone, that what you experience is extremely common, and there is a network of people you can confide in. I certainly will keep fighting to make space exploration more accessible and inclusive from any corner I can get a toe-hold in, and speak up about the injustices and disappointments I see. I do hope it gets better, I’m just skeptical that disruptive change will come from the inside. RW: If you had one piece of advice for your 10-year-old self, what would it be? What would you change? Would there be any decisions that you’d have made differently? AW: It’s okay to be interested in a lot of different things that have nothing to do with each other. It’s also okay to be obsessive about one thing. Focus is not a virtue, it’s just an option.